Las Vegas is the most iconic gambling hub in the world, and its current success is fueled by its unfazed resilience. Despite being heavily affected by the 2008 recession; this sleepless city remains more vibrant than ever. 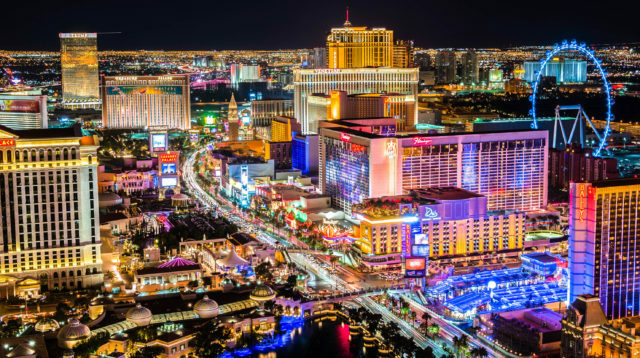 While only 36.35 million tourists visited in 2009, by 2015 Las Vegas was on the rebound. The number of tourists reached 3.8 million per month in 2016, which set a new record. Today their tourism industry exceeds $60 billion, which proves that their recession is officially over. By catering to more than just gamblers, Las Vegas has successfully launched an unexpected comeback. Today integrated resorts and high end entertainment options are luring in a surprisingly diverse wave of tourists. Even though the main focus of this renaissance isn’t on gambling, the city’s success has had a major impact on casinos. In total 169 casinos throughout Las Vegas welcome over 40 million punters and thrill seekers every year. There are over 95,461 pokies machines and 4,348 table games to choose from, which makes Las Vegas a punter’s paradise. This staggering amount of gaming options aren’t spread evenly throughout the casinos, so punters have to choose wisely. There’s nothing worse than wasting time and money in a subpar casino, and this is especially true in Las Vegas. For this reason, we compiled a list of the best casinos in Las Vegas. These epic venues boast the best pokies selection in Sin City. 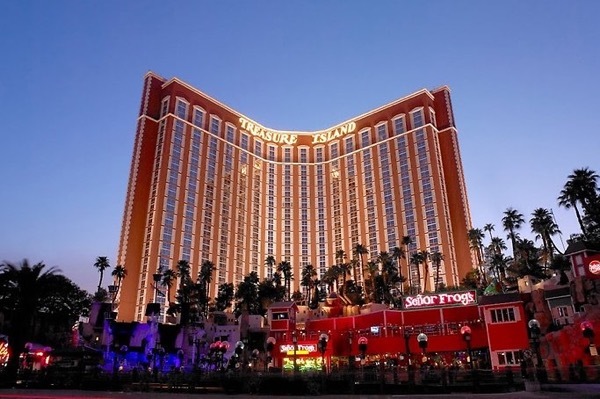 Their options are unmatched, so discover which casinos can’t be missed on your next trip! This massive complex is home to a truly exceptional casino. Casino #3: MGM Grand – When it first opened in 1993, this sprawling complex was the largest casino in the world. 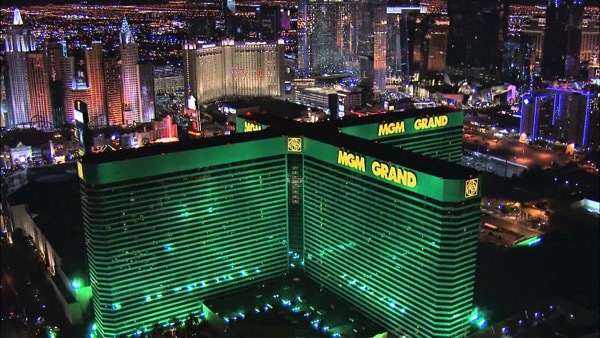 Over the years it lost the title, but the MGM Grand maintains multiple records. Boasting 6,852 rooms, it’s the largest single hotel in the United States. Aside from the 30-floor main building, this property is home to five outdoor pools, waterfalls and artificial rivers. Its 6.6 acres are absolutely packed with entertainment options. From convention centers to nightclubs, no amenity was neglected by MGM Resorts International. Even though it’s easy to get lost in the options, their casino steals the show. Equipped with a 171,500 square foot gaming space, this is the largest casino in Clark County. This huge area is packed with 159 table games and 1,736 pokies machines. Punters are hard-pressed to find a more impressive selection of games anywhere else in Vegas, so don’t miss out on the action! Boasting live shows and a solid game selection, this is one of Vegas’ most treasured attractions. Casino #2: Treasure Island Las Vegas – Thanks to its strategic position by the Sands Expo Center and Fashion Show Mall, this casino taps into a unique demographic. Convention attendees from all around the world descend upon this venue every night, and they have adapted accordingly. While their gaming selection is superb, there’s a special emphasis on entertainment. From nightly pirate shows to exclusive versions of Cirque Du Soleil, this casino knows how to host epic events. Their Mystere branch has been named “Best Production Show” eight times by the Las Vegas Review Journal. This impressive level of quality is complimented by a thriving casino. Visitors get to pick between the 185 table games, 8 poker tables and 2,500 gaming machines. These options cover every major casino gaming option imaginable, which makes it an experience to visit. This is the second biggest casino in Las Vegas, and is only outdone by the following entry on our list. This project is poised to make a profound impact on Las Vegas’ tourism industry. Casino #1: Resorts World Casino Las Vegas – Encompassing endless entertainment options and four hotel towers, this is the boldest construction project in the city’s history. 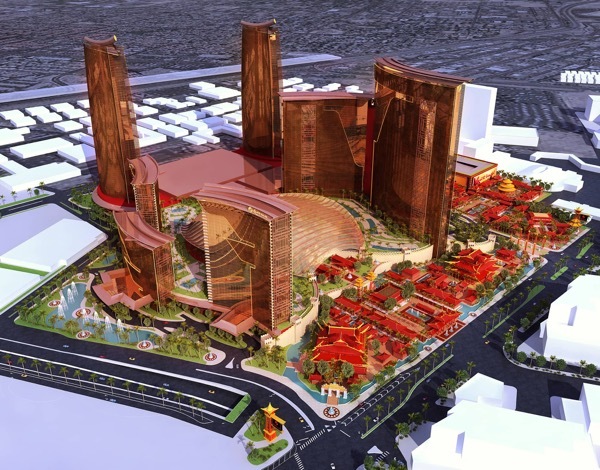 Spanning 87 acres, Resorts World is set to redefine what it’s like to gamble in Las Vegas. The first phase is expected to be completed this year and will include a 3,500-room hotel and 175,000 square foot casino. By 2020, the complex will feature 6,500 rooms spread out between four hotel towers. Over 3,500 pokies machines and gaming tables are going to be available, which makes it the top location for punters. Make sure to stop by as soon as this impressive project is complete!